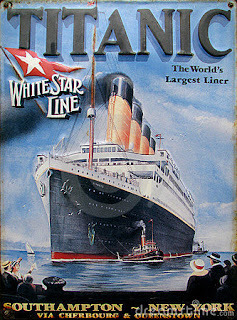 On April 10, 1912, one hundred years ago today, the RMS Titanic set sail from Southampton, England, for New York City. She carried 2,224 people. 1,514 of those people would go down with her four days later. Even after a hundred years, the sinking of the Titanic remains the most well known maritime disaster in history. The loss of so many lives and of the ship that was the opulent technological marvel of its day still fascinates us. One of the things that has always made an impression on me when reading about the Titanic is the passenger list. Many of them were immigrants heading to the Land of Opportunity to make their fortunes or escape insupportable situations in their home countries. At the other end of the spectrum, though, were some of the richest and best known people of the day. John Jacob Astor was the wealthiest passenger aboard. He perished on the Titanic , but his young second wife survived and, four months later, give birth to his child. 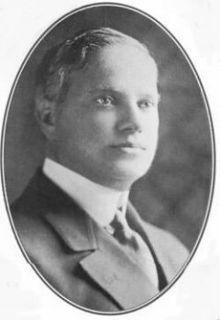 Another fabulously wealthy passenger was Benjamin Guggenheim. His wife and family were at home in New York while he and a female companion sailed on the Titanic. He may have been a cad in that respect, but after he and his manservant helped women and children into lifeboats, they changed into their best formalwear and stayed aboard the Titanic, waiting patiently for the end to come, determined to die like gentlemen. In a message to his wife, he said, " No woman shall be left aboard this ship because Ben Guggenheim was a coward." Lady Duff Gordon designed clothing for the rich and famous, including Isadora Duncan, Oscar Wilde and the British royal family. She and her husband both survived the sinking of the Titanic, but the lifeboat they were in, with room for sixty-five, contained only twelve people. They were accused of bribing crew members to not allow more people into the boat but were eventually absolved..
Also among the wealthy was "The 'Unsinkable'" Molly Brown, the daughter of a poor Irish immigrants and wife of a silver miner who struck rich. Always practical, she took charge of the lifeboat she was in, kept the women rowing until they were rescued and even shared her furs to keep others warm. J. Bruce Ismay, the managing director of the Titanic's White Star Line was aboard for her maiden voyage and was rescued, only to be excoriated by the press of his day for not giving his place in one of the lifeboats to a woman or child who might have otherwise survived. 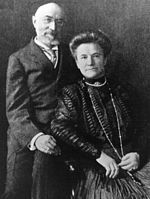 Perhaps the most touching story of the Titanic's wealthy passengers is that of Isador and Isa Strauss. He was a partner in Macy's Department Store in New York, and the elderly couple were returning from a holiday in Europe. When the ship began to sink, she nearly got into a lifeboat and then suddenly refused. "I will not be separated from my husband," she said. "As we have lived, so will we die, together." And so they did. And [Jesus] told them a parable, saying, "The land of a rich man was very productive. And he began reasoning to himself, saying, `What shall I do, since I have no place to store my crops?' Then he said, `This is what I will do: I will tear down my barns and build larger ones, and there I will store all my grain and my goods. And I will say to my soul, "Soul, you have many goods laid up for many years to come; take your ease, eat, drink and be merry."' But God said to him, `You fool! This very night your soul is required of you; and now who will own what you have prepared?' So is the man who stores up treasure for himself, and is not rich toward God." Whether they were selfless or selfish, brave or cowardly, these wealthy people soon found that the amount of money they had made little difference as the Titanic sank under them. When I think of them, I can't help wondering if they had true riches. What particularly interests you about the Titanic? How do you think you would react in a disaster of this kind? DeAnna Julie Dodson has always been an avid reader and a lover of storytelling, whether on the page, the screen or the stage. This, along with her keen interest in history and her Christian faith, shows in her tales of love, forgiveness and triumph over adversity. She is the author of In Honor Bound, By Love Redeemed and To Grace Surrendered, a trilogy of medieval romances, and Letters in the Attic, a contemporary mystery. A fifth-generation Texan, she makes her home north of Dallas with three spoiled cats. I am fascinated by Titanic, DeAnna, as we started to discuss on Monday. I think part of it is that question that you posted. Disasters like this are the big testing group of the human spirit. I think I'd react first with hysterics. Sorry. it's not pretty. But then I think I'd pull it together and just be in continuous prayer. Not necessarily praying for a change but for acceptance of what was coming and for overwhelming peace for myself and those around me. But, who knows? It also depends on who I was with and if I had to be 'strong'. That always changes things, too. I think I'd probably be hysterical, too. Then I'd be really practical. I don't know if I'd manage selfless though. It's kinda scary to think of. I know I'd be doing a lot of praying! What bothers me most is the half empty life boats. It was just a bunch of little things that added up to a huge disaster. I leaned today that 500 of the over 1500 who died were either from or were residents of the City of Southampton. All were crew members. Now I understand why the people of Southampton feel such a connection with the disaster. Yet the crew who perished are all to often forgotten. This is the most famous shipwreck of all time. The movie really did highlight the people you mention. I wept when they showed the mother from Ireland tucking her children in and telling them the story. Was it Brigadoon? So many foolish mistakes were made during this disaster. The story of Isadora Strauss is so incredibly touching. Wow. I would like to think I would do the same, but I honestly don't know if I would. I do know I would give my seat to someone else if need be, but stay behind to die with someone else - even my husband - I'm ashamed to say I do not have an answer. But boy do I admire Isadora. Touching post, DeAnna. As for what I'd have done on board the Titanic? I'm one of those who at the slightest bump would have been on deck, and if a steward told me all was well, I'd have ignored him, much to my family's embarrassment, probably. I would say something like Mrs. Strauss did, but, well...I write about what I think would have really happened had I been there in my forthcoming blog post (for Thursday). I also write about what might have happened that night that made rescue difficult, if not impossible. The stories of passengers and crew are amazing. Anna, I saw an article on Southampton today, too. It's a good reminder that everyone around us has a story: loves, losses, dreams. looking forward to more on Thursday Susie. I'd like to see a breakdown of the actual costs. With the flagrant wealth of the first class I am still shocked at the estimates of what a first class ticket cost. Prime time for the "Robber Barons" of the time -- all before income tax! Still there are so many stories left untold. Len Goodman (yes, Len from our Dancing with the Stars has a special on one of the networks where he does look into the lives of some of those on board. Of course so much less is known of the common people. As Anna brought up, I'd like to think that that has been improved and the crew's families have been able to tell their loved ones stories. Checked it out. it's tonight on PBS 8pm Stories from the Titanic which promises to focus on the stories of the families left behind. Even as the only Inky born without a history gene, I love the story of Isa Strauss. What would I have done if on the Titanic? I don't know--probably think about loved ones left behind. The practical thinking side of me wonders if it would be possible to jump off the boat and swim to the half-empty lifeboats. But that water was frigid, so I imagine chances of making it were similar to staying on the boat. Whenever I think of the Titanic, I think of Molly Brown. So practical. So real. I've always remembered her as a woman who was born poor, and promised to marry a rich man. However, she said later that when the time came, "I decided that I'd be better off with a poor man whom I loved than with a wealthy one whose money had attracted me. So I married Jim Brown." And Deb, thanks for the head's up on Titanic and Len Goodman tonight. Having lived through a minor disaster (being caught in a war in Lebanon) I know my concern was all for my kids and not for me. It was all about protecting them and being strong until I got them to safety. Once I did, I slept for most of the next few days. I imagine that would have been the same if I'd been on the Titanic. Barb, the water temperature was 28 degrees. I understand people died fairly quickly from the shock or from just plain freezing if they were in it. I don't think swimming to the boats would have worked. And I think the people in the boats were concerned about them capsizing if they let people on, too.